I love finding new plate designs that work well with advanced stamping or stamping decals. With my recent rediscovery of my FUN plates I found this beauty on FUN #6. It looks like a little pebble stones. I didn't have the patience to colour in every single little stone in the design, but I really love how it turned out with just a sprinkling of colour. I used Face of Australia Mystique (the darkest teal shade) and Picture Polish Marine, Chillax and Tiffany for each shade getting lighter. 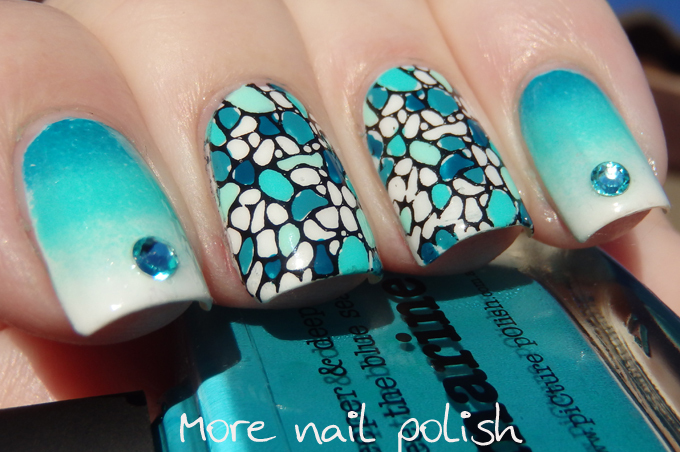 The gradient used the same polishes over a white base. Lastly I added some SS9 sized Swarovski crystals on the tips of the gradients. 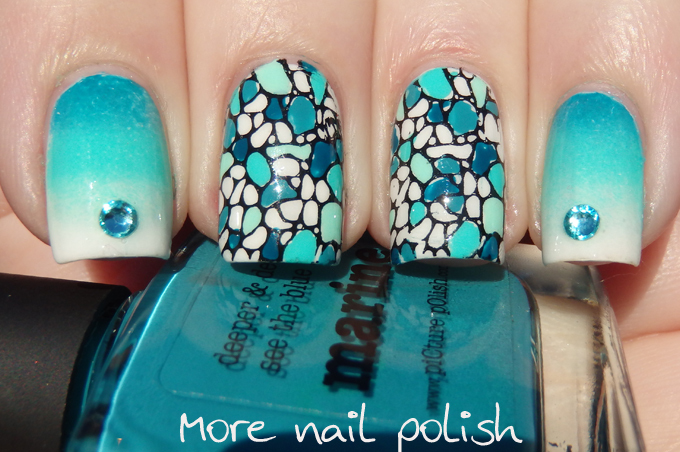 This was the first full mani I did using the Messy Mansion 10 stamper head pro set. For the finer lines in this stamp I found I did need to lightly prime my stampers using the included magic eraser from the set. As you can see, the stamps picked up really beautifully. Wow, this is gorgeous! I really like it! 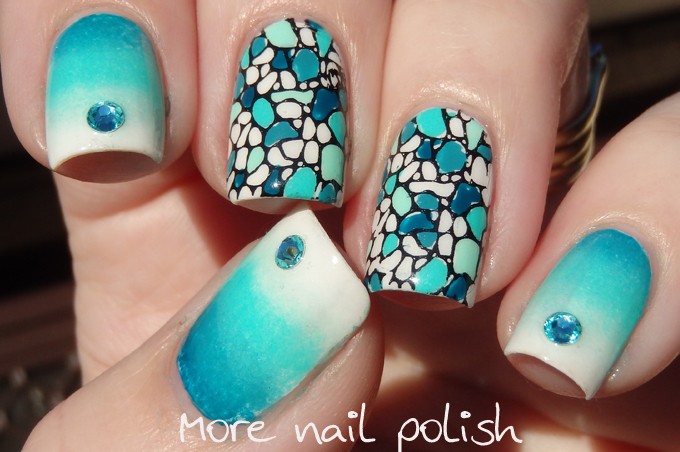 Really nice gradient and the little crystals are a nice touch.